£5,000 to be won every month! We're giving away up to £5,000 every month with £2,000 guaranteed! 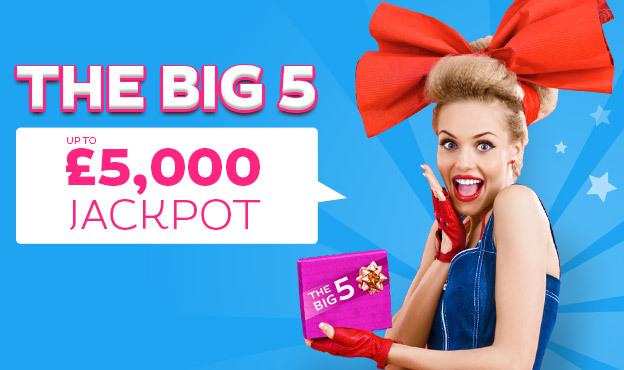 It's the Big 5 mega bingo jackpot and we want YOU to win! Tickets are just 30p and the game plays the last Friday of every month at 10pm. How would you like to start your weekend £5,000 richer? Sounds pretty fab! Get your tickets today!